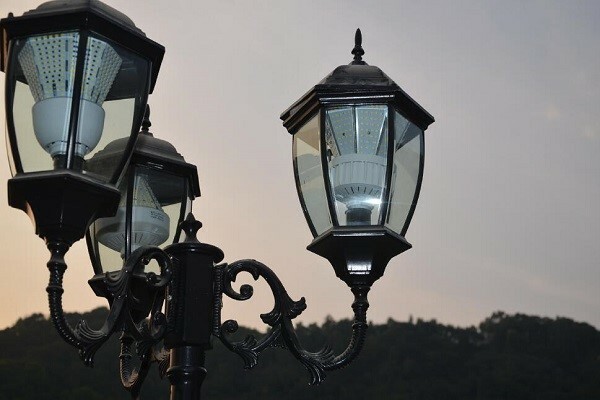 These uniquely designed retrofit lamps are the perfect solution for upgrading sidewalk & plaza post top fixtures that are currently using high wattage HID bulbs & inferior ballasts. These lamps are designed to bypass the ballast and virtually eliminate future maintenance. The different style lamp designs replaces lamps that are screwed in from the bottom or top of the fixture. 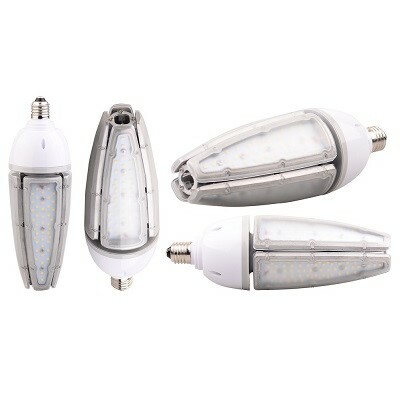 These unique angle of LED chips illuminates upward or downward at a 30 degree angle to provide a more symmetrical lighting where it is needed, and also to help minimize light pollution in downtown urban areas where residential housing exists. Lamps utilize a premium driver and chip set with efficiencies up to 150 LM/W. 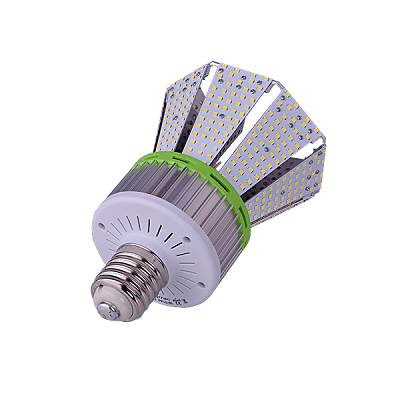 The patented heat sink design dissipates heat between the internal driver and COB, which helps to ensure that lamps will perform flawlessly for more than 50,000 hours of operation.